Please leave your email address on your check or online donation, and visit back to get your tax deductible donation receipt later. 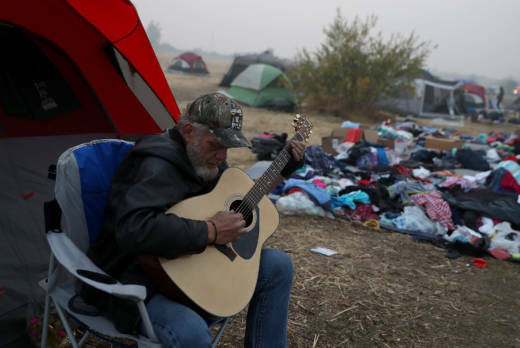 The Camp Fire burning in Butte County is now the deadliest in state history, with at least 79 killed in the blaze. Cal Fire estimates the fire has destroyed more than 15,800 structures, including thousands of single residences, primarily in and around Paradise, a town of 27,000 in the foothills east of Chico. Tens of thousands of residents remain displaced. CaliforniaVolunteers, the state agency that oversees and encourages volunteer efforts across California, says financial contributions are the best way to help people in the immediate aftermath of a disaster. The organization "strongly encourages donors to carefully research charitable organizations prior to donating to ensure that their donated funds will have the desired result." The office of California Attorney General Xavier Becerra has information and tips on avoiding charity scams following a disaster. The Airbnb Evacuee Program is looking for people with available housing to provide shelter for evacuees who have been forced from their homes. Find more on their Open Homes program and sign up your home here. The Hope Center needs volunteers to help sort and organize donations. The organization now has a toll-free hotline for questions regarding volunteering and donations: 1-833-OROHOPE (1-833-676-4673). The organization Caring Choices says it has received around 1,500 applications from people interested in volunteering to help fire victims. If you are interested, you can apply online by filling out an application form. CaliforniaVolunteers encourages people to think twice about donating unsolicited material goods, especially used items. Agencies often have to spend time and resources dealing with donations that may not fit the needs of survivors. Hope Center is currently not accepting material donations as they attempt to sort through and distribute the large amount they have received. A Hope Center representative said Tuesday the organization is however accepting monetary donations and gift cards. A Hope Center representative said the organization will begin accepting material donations again when they've distributed most of their current stock. This is in no way an exhaustive list. If you know of additional places accepting donations or help, please email us at assignmentdesk@kqed.org. Please be sure to call any location before dropping off donations or check their social media for updates.